As bluetooth slowly cements itself as the definitive wireless adapter, Technocel’s line of affordable and stylish bluetooth headsets are perfect for anyone who wants to talk and drive with the gradual adoption of hands-free laws. And with a fine of an approximately $60 depending on the state, it’s a much cheaper–and safer–alternative to invest in a bluetooth headset. Technocel’s T360 is a clear competitor for anyone that needs to make the switch to hands-free. Although a relatively unknown company, their lineup of low-priced products allows anyone who wants a headset to get one without breaking the bank. While the T360 is a bit more affordable than its competitors, the real question is if it is just like the other mediocre headsets available for this price. One thing that T360 lacked, however, is that it can only be paired to one device at a time. This became a problem when I wanted to immediately switch the headset from my phone to my PS3. Although the recalibrating process is the same method as the discovery process, it is still inconvenient to turn off the headset and re-pair it every time you switch devices. 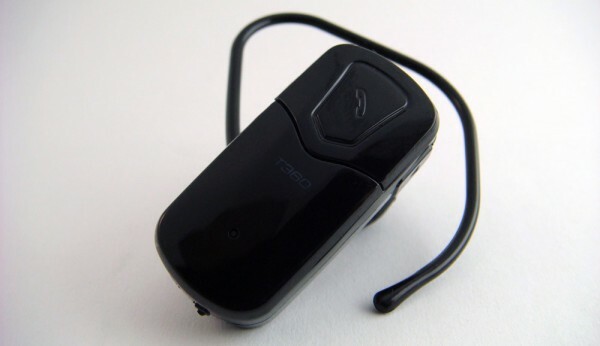 Tehnocel’s T360 is clearly a basic bluetooth headset. It has a simple design that doesn’t try to be loud. Its small 1.5″ design lets you wear the earpiece without telling the world that you need to be on your phone all the time. Moreover, its 8-gram weight is almost unnoticeable. The T360 sits in your ear and does what it promises without complicating day-to-day operations. I wore the earpiece using one of the three large ear pieces during my review period because, to my surprise, the small earbuds didn’t fit. Technocel also provides one small and one large behind the ear hook for added security, however I found this too unbearable and uncomfortable for long term uses. 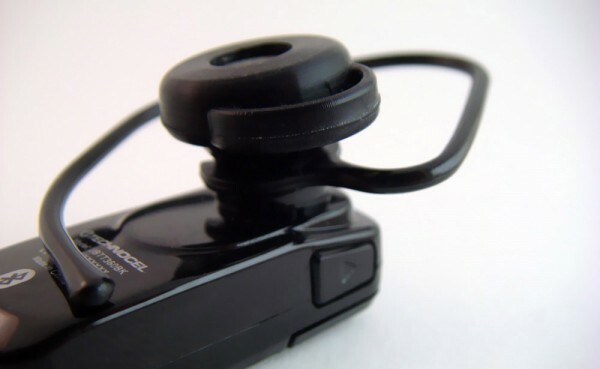 What’s great about this headset is that it is secure without the hook; it stuck right in its spot even when I shook my head to see if I could force out the headset. And this lightweight, tiny headset’s overall comfort made my experience with the headset even better. I despise wearing ear buds for long periods of time because they give me headaches or a sharp pain starts to shoot through my ear. 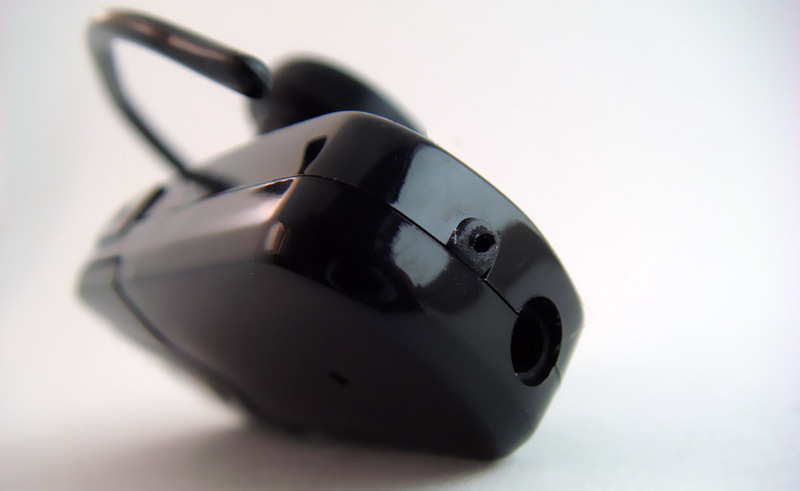 Thankfully, the T360’s comfortable ear buds made the reviewing process pleasant. I did not have to take it out once during my period of use because of pain or frustration. Although, I will admit I took it out to scratch my ears a few times, but I don’t blame the device for my irritation. Unlike the Jabra that was previously reviewed, the T360’s 5-hour battery life meant that it rarely needed to be charged during regular use. However, if I planned on going across country and wanted to talk to someone the entire time, the T360 would pale in comparison to the Andrea BT-200 or even the Jabra BT5020 because of their longer battery life. What’s even more problematic is that the device isn’t a USB charge. You will have to find a power outlet to give it some juice if you take the headset on a long trip. This is a huge problem because it’s difficult to find outlets everywhere, but with a USB charger the T360 would be a great headset for anyone that has their laptop with them all the time. If the headset is in need of a charge , the four-and-a-half foot cable is more than enough distance to have it plugged into an outlet. The audio and voice quality are the important parts of any bluetooth headset. The T360 headset has fairly decent sound quality. However, there was some noticeable crackling and fragmentation of audio, but it wasn’t enough for me to damn the device. It was obvious I wasn’t next to the phone’s built-in ear piece, but it’s not terrible for the low price of the device. In terms of voice quality, those who I talked to–some near, some a couple hundred miles away–didn’t notice too much of a difference from the phone itself. One did say that she thought she was on speaker phone, but that may have been the service itself. One flaw that I can pin point to the device is the distance one can be from the bluetooth device. Being about ten feet was enough for the device to fail when outside, whereas inside the marketed 33-foot distance held true. This was pretty strange because when I was outside there were no obstructions while inside there were physical walls that could have blocked the signal. Although this may seem like a lot compared to the ten feet, the 33 feet limit was actually a bit of a problem because going to the kitchen while leaving my phone in my room essentially killed all incoming and outgoing audio. Because the product is marketed toward hands-free use while driving, however, there is very little chance you’ll ever need the 33-foot distance, and the talk quality should be fine. The Technocel T360 gave me the chance to talk to anyone I wished while I was driving my car without having to pay the hefty fine. With a price tag of about $23.00 at Amazon, the T360 is almost half of the cost of the fee, and you will be able to pair it with a PS3 or bluetooth ready laptop device and use it to talk all kinds of smack. It isn’t a top of the line bluetooth headset by any means, but it is comfortable and stylish and does everything you could ask for without having a huge price tag. The T360 is a great starting device for consumers who might be afraid of making the jump. Hey maybe you can help me, when syncing to my phone it does not ask for a passkey to synce the t360, yet my PS3 it asks for a passkey and i have no clue what the key would be… any help?? Try 0000 or 1111. Let me know if it still doesn’t work.